TWOIOT’s smart waste management projects aims to revolutionize the waste management economy. 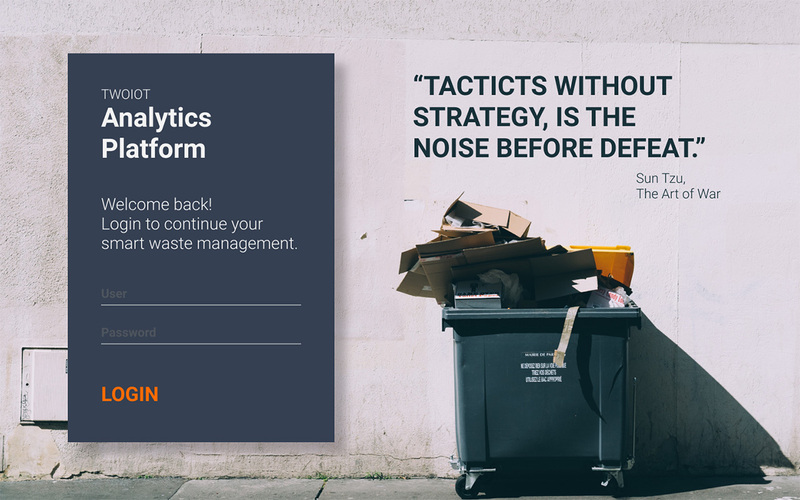 Using smart ultrasonic sensors and DLT technology, trash cans will automatically send messages to the system if they reach a critical fill level. A Smart waste truck fleet will be picking up those trash cans. 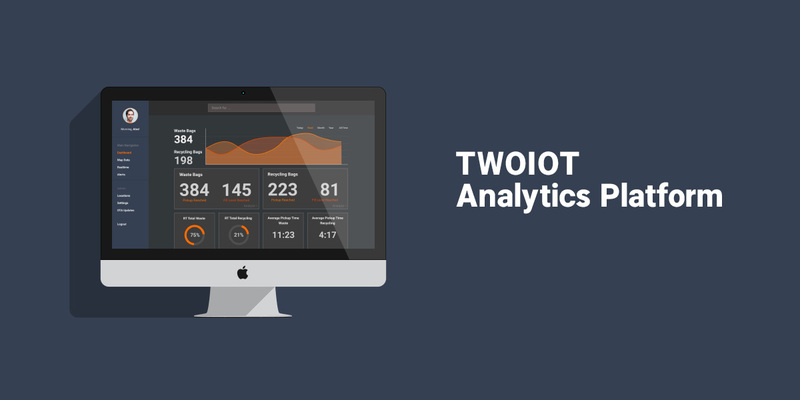 To monitor and analyze the amount of waste generated, pickup times, time dependencies and what not , TWOIOT is also developing a webapp for it. Building a monitoring App MVP was quite challenging, as we did not want to redesign after the pilot phase (due to time restrictions of pilot phase). So with that in mind we needed to find a way to bring all the MVP features and further planned additional features to a common sense in how we d like to structure and design this system. As the app would be running from smartphone to desktop, we needed to find a responsive solution, to keep all the monitoring data visible on first glance, but also kept options to analyze different KPIs in details if needed. We designed a quite module system, like some molecule blocks which might allow for a per user individual dashboard for monitoring ( as some user roles might have other interests or duties). In addition we are also able to go responsive pretty easy – haveing all our 1,2 and 4-unit components aligned to a proper grid. On the otherside we designed the app structure in a way, that the user can easily access a detailed view from his dashboard within a single click/touch. What’s currently happening: having the monitoring solution at hand, we just started to implement more in depth features – bringing a live tracking of the (autonomous) trucks and status infos in RT to the APP. We also implemented a notification center, allowing for push notifications in urgent alert situations like stolen trash cans, destroyed ones, truck accidents etc. Login screen for TWOIOT web app. Waste and especially waste management is a pretty heavy industry. Using Technology to save resources on trash management and recycling are vital for a sustainable environment. In Usecase Scenarios like airports , this system will reduce costs by 40-50%. With our really quick turnaround of producing MVP within a few weeks, we managed to raise funding and also added first partnerships with pilots starting in August. ux analysis and prototyping on this project.